Why is it so hard to sell cold beer in Indiana? Local beer and liquor laws are a pit of oddities, loopholes, exceptions, and head-scratchers, and Indiana has long claimed two of the strangest. The Hoosier State bans alcohol sales on Sundays and prohibits cold beer sales at grocery or convenience stores. Finally, lawmakers seemed close to amending at least one of these arcane laws as the The Alcohol Code Revision Commission met last Friday. Terre Haute, Indiana’s Tribune Star reports the commission voted 8-7 in favor of expanding cold beer sales (under current law, only package liquor stores can refrigerate beer). Though the commission voted in favor of expanding cold beer sales, nothing will change. That’s because the commission needed a majority of its 17 members to vote in favor of it. Two members were absent, so the recommendation will not be passed on to Indiana General Assembly. So, for now, convenience and grocery stores will keep selling you warm beer. 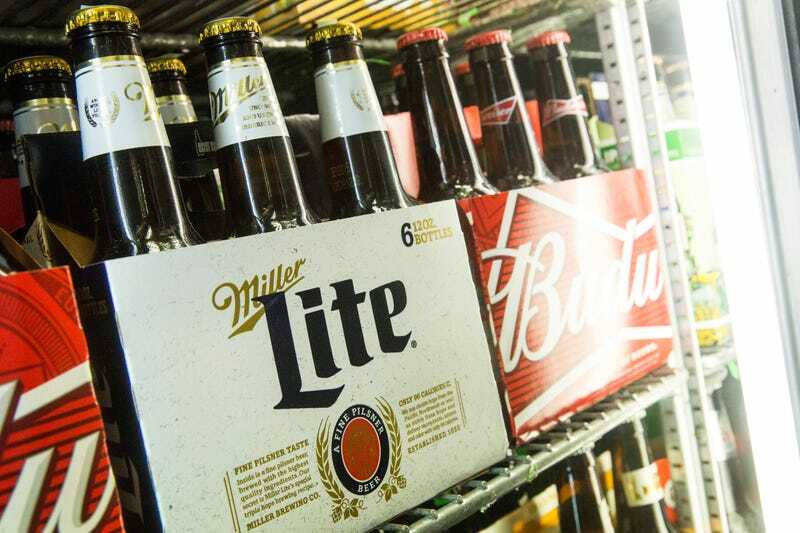 The Indy Star reports that grocery stores then struck a bargain: They’d form an alliance with liquor stores to push for Sunday sales, but grocery stores would give up their bid for cold beer sales in exchange. Convenience stores balked at that and continue to push for cold beer sales. As for Indiana’s beer makers, they’re mostly staying out of the fracas. Despite the obvious quality benefits of refrigerating beer, the guild hasn’t taken a strong position on the cold beer debate. That’s because its 110 brewery members can sell cold beer (and beer on Sundays) from their taprooms. It’s a perk of their licenses, and an advantage that some breweries might like to protect. “We’re in that awkward position of if we take sides, we’ll have our own membership complaining. We sent out a survey that’s out right now that gives us an idea of who’s got what position on Sunday sales just to see what the pulse of the group is,” Caputo says. Until something gives or another compromise encourages liquor stores to budge on cold sales, enjoy your lukewarm brewskis, Indiana. Sunday beer sales, however, may be in your sights.